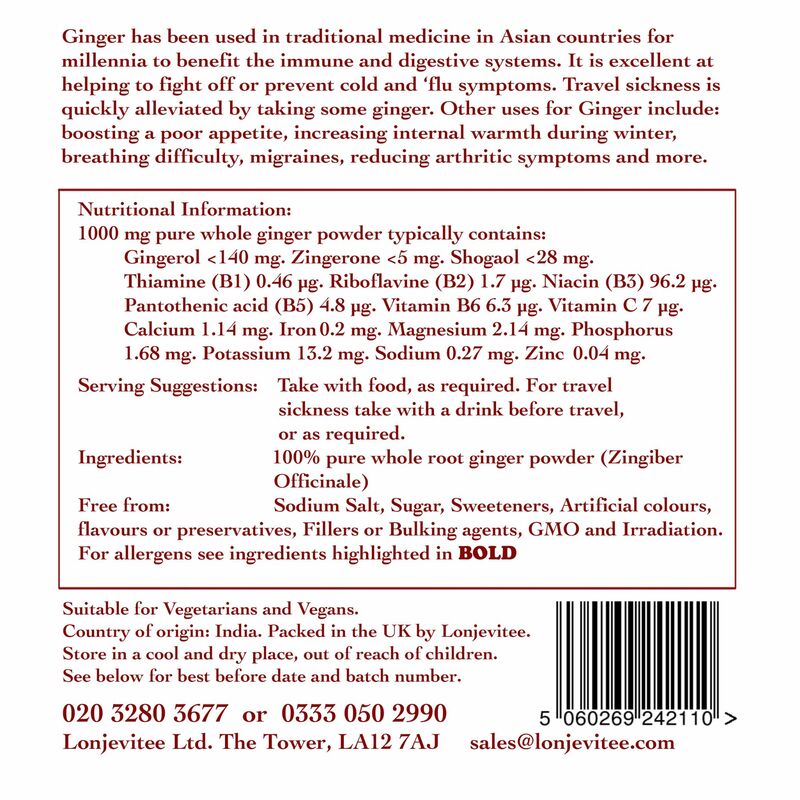 Ginger Root Powder 100 g loose powder. Home / Vitamins, Minerals & Herbs / Ginger Root Powder 100 g loose powder. Serving suggestion : As required, with food. For travel sickness take with a drink before travel or as required. Product of India. Packed in the UK by Lonjevitee Ltd.